Students had also staged a protest last week demanding the circular be rolled back. 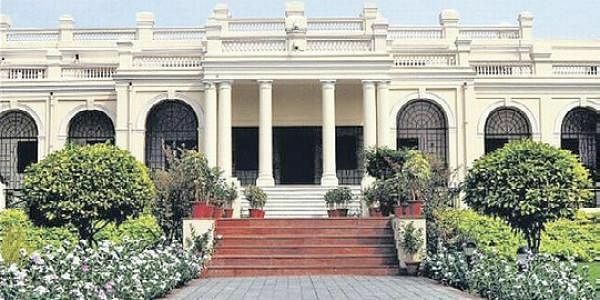 File Image of Delhi University. NEW DELHI: The Delhi Commission for Women today issued a notice to the principal of Miranda House over a circular issued by the college imposing a ban on taking selfies and combing hair in its corridors. The DCW notice comes after few students had approached the commission complaining about the "misogynistic" notice. "We have received a representation from students alleging that discriminatory practices being adopted by college and such a misogynistic circular has been issued. We have asked for a point-wise reply from the college on the students' complaint within 7 days," a DCW official said. The notice, directed to School for Open learning (SOL) students who attend Sunday classes at the college, stated that activities such as clicking selfies, combing hair and modelling in corridors amounts to "misutilisation" of time and students doing so might face suspension for a day. Students had also staged a protest last week demanding the circular be rolled back. While college principal Pratibha Jolly had earlier claimed it was aimed at ensuring "safety" of students, she had later clarified that the notice is only "suggestive" and won't be "imposed". However, Krantikari Yuva Sangathan, an association of SOL students had still decided to knock the doors of the DCW.